Hippie Chick features 445 images curated from Blakesberg’s 35+ year career. 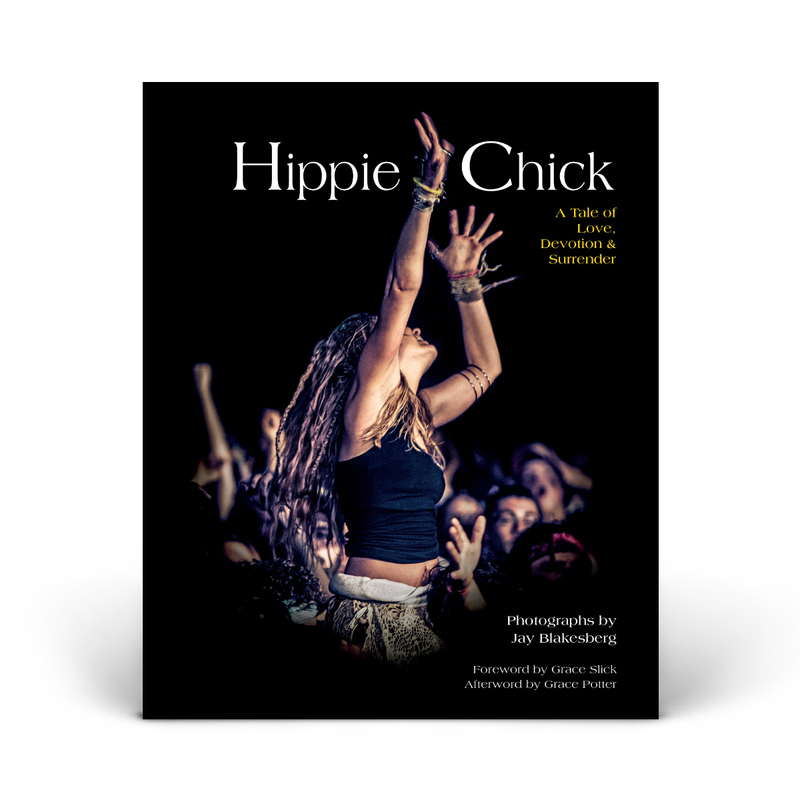 The Book celebrates the unique connection between the vibrant community of free-spirited women who are inspired by, and help inspire, live music. 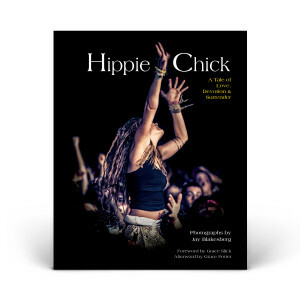 Blakesberg’s visual anthropology beautifully captures the feminine festival and concert archetypes, and the individuals, who have graced the fields and performance halls of America since 1980. Earth mamas and fairy princesses, hula hoopers and whirling dervishes, front row regulars and flower crown makers; the entire tribe of dedicated, music-loving women – their fashion and their passion – is sensuously brought to life through Blakesberg’s artful lens. Shipping and handling for domestic orders is included. Please allow up to three weeks from the date your order is placed until your order ships.